Bright Pool is one of those polishes that just doesn't want to photograph properly. My Sony Cybershot has trouble with teals and purples, so this layering just blew its mind. It captured it as a dull bluish-turquoise color, which is totally not the case. 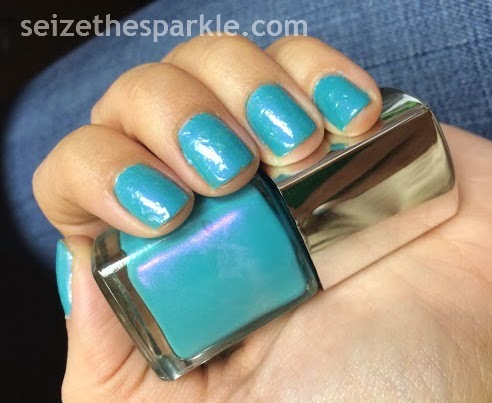 Bright Pool is a dusty teal with purple shimmer. 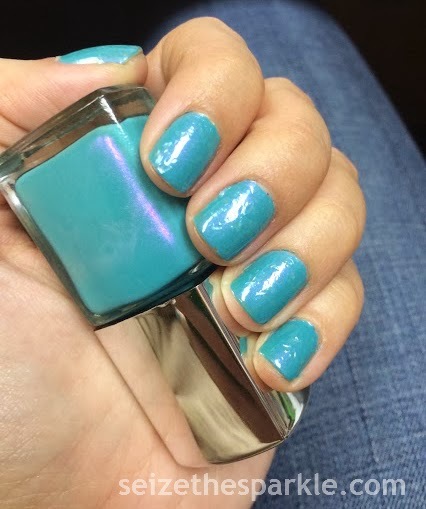 It's a gorgeous shade, and it's in my collection thanks to Kelly from Vampy Varnish. Had she never posted this... 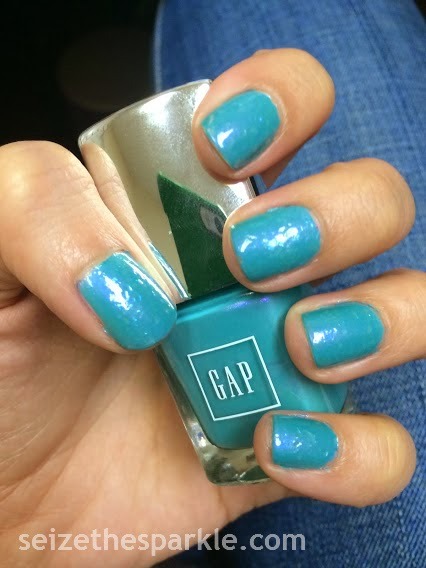 I would never have thought to stop and rummage through a bin full of nail polish at GAP. I'm sure it was quite comical, because the bin and some other toiletries had been rather haphazardly placed on the bottom shelf of a display, and I know I looked like a raccoon foraging for food. I've only worn Bright Pool one other time, and I didn't take pics or blog about it, for whatever reason. (Shame on me!) The FingerPaints Kaleidoscope Collection was still fresh in my mind yesterday, and I was just itching to use another one of my new flakies in a layering! So... I painted 2 coats of Abstract Attraction over Bright Pool, and voila... Abstract Pool! (because I'm really good at portmanteauing.) Abstract Attraction has pastel flakies that shift aqua, turquoise, blue, violet, and pink... a fitting mix of colors to go with Bright Pool! Honestly, I forgot how much I liked this shade! 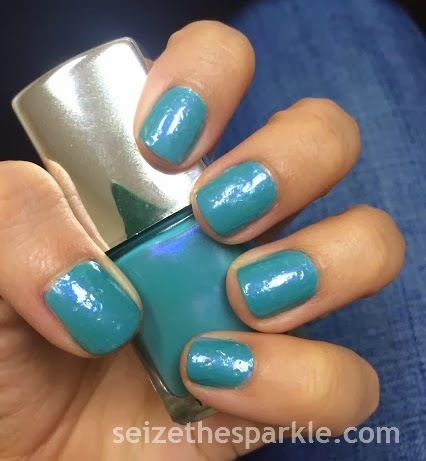 It's such a pretty teal color, and it goes really well with my skintone. It's not a particularly dated shade, either. I can totally see myself reaching for this in another year or two and still really liking the color. What do you think of Abstract Pool?